I’ve always been a big softy for the Animal Crossing series (I’ve always been a big softy, but that’s unrelated). I remember when I was first introduced to the series back when I was in grade seven and it blew my mind. The internal clock mechanic was unlike anything I had ever seen, and its simple game design and lack of any clear goals set it at a slow speed that I had never experienced, and I loved every minute of it. Having no clear objective to strive towards, I found I had to give myself a goal; a sense of structure that made the game worth playing. I remember getting very into designing my house, wanting to fill it with all kinds of cool furniture; to make it a reflection of me. I’ve always been an artist, developing a passion for drawing at a young age, and my passion for creativity started to blossom here as I dreamed up the most perfect house: the kind with an inviting, yet cool living room, a rocking basement with video games and a pop machine, and a kitschy retro couch giving it a sort-of nostalgic flair. And that was something that carried over for me into every Animal Crossing game that followed. While each one added more features, giving the player more reason for investment, I always liked seeing what new furniture would show up in the game to make my house look cool. Animal Crossing: Happy Home Designer has taken that element and built an entire game around it. It’s a fun little creative experiment that delivers a calm, cathartic experience for those with an artistic side, but fans expecting a more robust Animal Crossing experience may be left wanting more. Animal Crossing Happy Home Designer offers about as much story as Animal Crossing: New Leaf. The player takes the role of the newest member of Nook’s Homes, Tom Nook’s lucrative real estate business. Players may recall Nook’s partnering with the Happy Home Academy in New Leaf; as a new member of the team, you’ll be in charge of acquiring new clients and designing the homes of their dreams. As you develop your skills you’ll be approached by Isabelle who will request your abilities to design big “main street buildings” like a café, a school, a hospital, etc. It’s about as much as you need for a game whose sole function is being the house-building sections from The Sims. Happy Home Designer focuses strongly on the design element, giving an amount of control in the creation of homes unprecedented in the series. Players will either seek out and acquire new clients or take them on when they come to the office seeking a specific project. Players will then be tasked with choosing a specific plot of land to build that house on, and design both the exterior and interior fitting a theme specific to the clients wants. Once you get far enough in the game (about 4-5 designs in), you’ll be tasked with creating bigger projects in the town square. These projects offer a bit of a change as the focus shifts from designing intimate, personal houses to bigger, public atmospheres. It does shake up the gameplay, though these offerings are limited, so players may not want to complete them all at once, lest the game become too repetitive and stale. The best improvement is the level of control implemented into the design process. 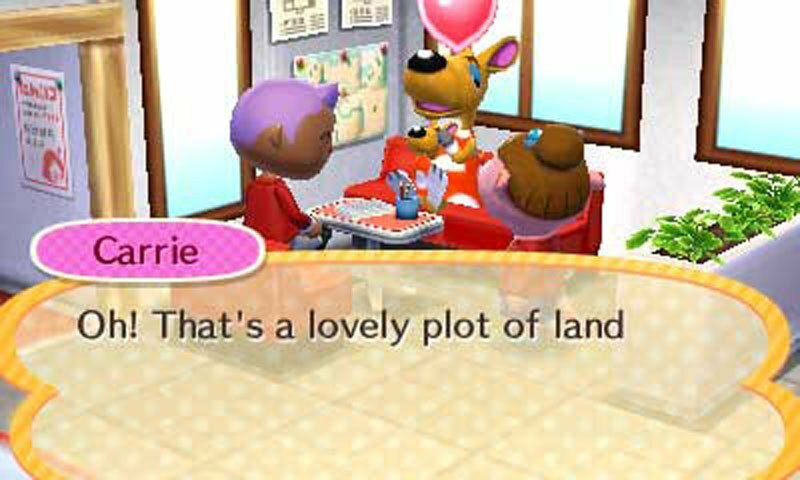 I’ve often said that one of the things that would’ve significantly improved New Leaf was a drag-and-drop system for laying out town objects. It seems someone at Nintendo read my blog because that’s exactly what Happy Home Designer uses and it makes designing a phenomenally enjoyable experience. Items can be picked up, rotated, and placed with ease, leaving player movement mainly for surveying the land and changing the camera for increased design flexibility. New features have been added to the design, including changing the windows, curtains, and the addition of hanging objects from the ceiling. New items are unlocked with each new character and the amount of items you can have for creation gets pretty huge, combining almost all the items from previous Animal Crossing games with quite a few new things. Clients will range from the wide pool of Animal Crossing characters, most of whom are accessible just by talking to them in the town square; however, specific characters can be unlocked through the new Amiibo Cards. Purchasing a pack will give players access to six characters, with every deck containing one special character such as Brewster, Tom Nook, or Sonny Resetti. While purchasing a pack of cards is the only way to get these special characters, being random in nature doesn’t guarantee that you won’t see duplicates of characters you already have. However, priced at about seven dollars a pack, they’re relatively inexpensive and since Nintendo plans to include the cards in Animal Crossing: Amiibo Party, it could be very interesting to see where this “physical DLC” goes if Nintendo has plans to start different lines of Amiibo Cards. 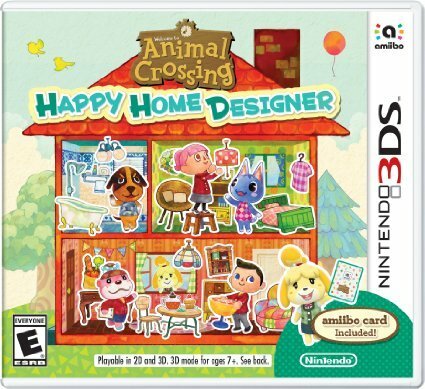 Animal Crossing hasn’t changed very much in terms of overall aesthetic; however, Happy Home Designer maintains the cute charm that has become synonymous with the series. There’s a lot of colour and life within the world, and very nice atmospheric lighting both inside houses and outside (although this is limited to snowy and rainy days, as you can only design houses during an in-game day). Character models look as good as they did in New Leaf, although with such a smaller, more focused game you’d think there’d be a lot more detail put into the overall look. 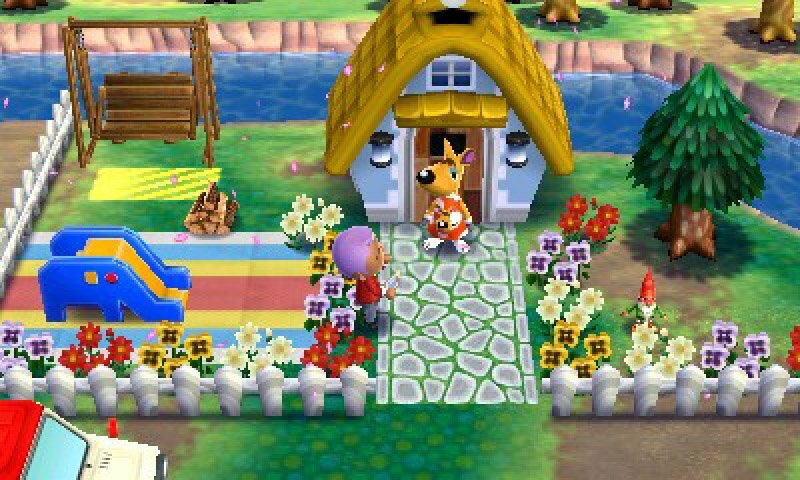 A little more detail in the furniture and house design would have been welcomed, but as it stands, Happy Home Designer looks as great as New Leaf, and that’s fine. There’s little in the way of music in Happy Home Designer. While Kazumi Totaka did work on the music in this one, the series’ traditional “hourly themes” have been replaced with a single “theme,” much like the “puzzle themes” in the Professor Layton series. This theme sets the perfect mood to get the creative juices flowing; it’s jaunty, upbeat, and it never gets annoying, despite its relatively short length. However, if the building theme begins to wear on you, you can switch up the music by placing a stereo in your client’s house to gain access to a collection of K.K. Slider songs that increases with every client. Animal Crossing: Happy Home Designer is like Mario Maker for Animal Crossing. It’s a fun little distraction that doesn’t require too much attention to enjoy. 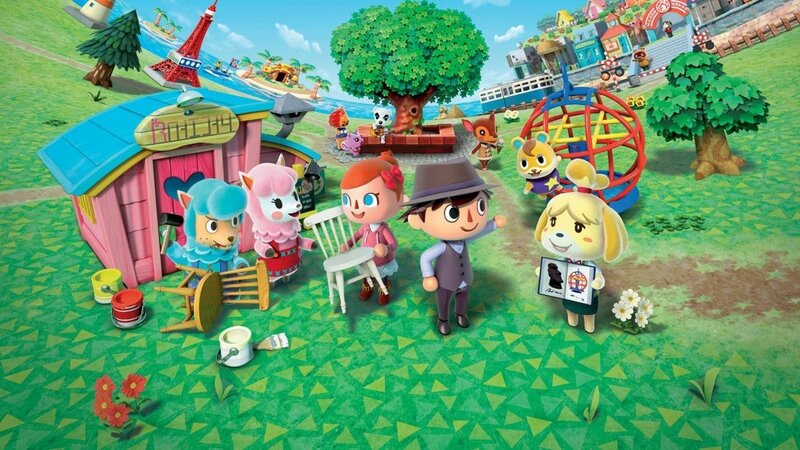 While it’s easy to see how it can overstay its welcome with fans expecting a fuller Animal Crossing experience, those with a flair for the artistic will no doubt enjoy its extensive range to allow their creativity to flow. Animal Crossing: Happy Home Designer has taken that element and built an entire game around it.